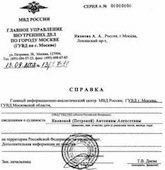 Non-certified Russian translation of correspondence, promotional materials, technical documentation, web-sites, etc. Looking for a translation office in New York, NYC (Manhattan, Brooklyn, Bronx, Staten Island, Queens), other NY cities (Albany, Buffalo, Rochester), Texas (Austin, Houston, Dallas, San Antonio), California (Sacramento, Los Angeles, San Jose, San Francisco, San Diego), Florida (Jacksonville, Miami, Miami Beach), Philadelphia, Cincinnati, Raleigh, Chicago, Phoenix, Northern NJ, Atlanta, Boston, Washington DC, Seattle, or Las Vegas? You don't have to. Simply scan or take a photo of your document and order the translation online. We specialize in English, Russian and Ukrainian, but we can handle some other languages as well, if necessary. We ship certified Russian translations by reliable mail couriers (USPS Priority, FedEx) and provide both economy (3-5 w/days) and expedited overnight services (in the United States). We provide regular service (3-5 b/days) and rush service (24 hour or immediate). We accept on-line credit card payments and PayPal. We provide carefully crafted thorough translations that are accepted by governmental, judicial and other authorities in the U.S., Russia, Ukraine and other countries. Certified translations include an Affidavit of Translation Accuracy, provided by a certified translator and notarized (optional). Our Affidavit of Translation Accuracy is accepted by U.S. Citizenship and Immigration Services (USCIS), IRS, United States Courts, Schools and Universities, DMV Offices, Notary and Vital Records Offices, WES, ECFMG, IERF, and FPGEE. We are the Member of American Translators Association (ATA). We 100% guarantee that our certified translation will be accepted, or you get your money back. We, as a network of professional translators, provide accurate and reasonably priced written translations in different categories, such as general, administrative, commercial, corporate, economic, computer, technical, educational, etc. We provide translation services from English to Russian languages, and English to Ukrainian languages, and vice versa. We don't use machine translation software. All Russian translators are highly qualified and experienced. They are native Russian/Ukrainian speakers. We respectfully satisfy client requests of specific translators. We want our clients to feel confident and comfortable. We are interested in long-term relationships, and believe in personal bonds and an individual touch. We utilize modern basic technology that assures quality of translations. The process includes exchange of materials in electronic form over the Internet, clarification of the source text questions with the client, special subject and terminology research when necessary, use of similar previously prepared materials, proofreading and terminology editing, highest quality word-processing, compliance with national professional standards, requirements and recommendations applied to foreign language translations. Our goal is to become a permanent assistant in your foreign affairs regarding foreign language support. What is certified Russian translation? To make a translation official it shall be certified in the destination country. In general, the certification procedure is not the same in different countries due to different requirements to translators' credentials and acceptance of photocopies of originals, needless to say that a notary or a notary public must be commissioned in the country. When certified translation shall be submitted in the United States we append our standard affidavit of translation accuracy to the translation produced on our computer stationary, print the translation and a copy of the original document out at one of our US locations, staple it together, sign the affidavit, get the signature certified by a notary public and mail it to the customer by expedited USPS/FedEx delivery service. In the United States and in some other countries a photocopy of the original can be attached to the translation. However, in many countries the original document shall be submitted to a notary who is supposed to verify it and to authenticate the signature of the nationally certified translator. In such cases the original document shall be mailed to us for forwarding to the destination country. We can also arrange the meeting with our representative in such country upon the client's arrival for certification of the paperwork the same or next business day. We can also certify translations in the consulate of the destination country upon specific customer request, though this option can be quite expensive due to courier and consular fees applied. Should a translation be validated? How does a translation get validated in the U.S.? Should a translation be apostilled? In what country a translation ought to be produced? Can a translation be verified in a foreign consulate? If I need to submit the U.S. birth certificate in Ukraine, where should I make its translation? What should be submitted to a consulate? What is different in case of consular legalization? Should a translation be attached to a document to receive an apostille? Does an apostille verify a translation? Shall an apostille be translated? Q. SHOULD A TRANSLATION BE VALIDATED? A. It depends. If it is a correspondence or a translation of technical documentation, web-content, advertising materials and such, then there is no need in official validation of a performed translation. A client makes the decision whether to accept a translation or not. On the contrary, in case of translating a document that should be filed somewhere, such translation ought to be officially validated. The purpose of such validation is to impose personal responsibility for the content of a translation, which appears for an accepting party as the actual information contained in a document. Regulations and practices of such validation vary in different countries. Q. HOW DOES A TRANSLATION GET VALIDATED IN THE U.S.? A. Translations may be certified and notarized. Q. WHAT IS CERTIFIED TRANSLATION? A. Translation that contains an affidavit of translation accuracy written by a qualified translator, a certifier. Translation as a business activity is not regulated in the United States, and no license or special permission is required. Practical knowledge of source and target languages is sufficient, though it doesn't guarantee that a translation would be accepted anywhere. Many organizations, like colleges or DMV-agencies, have their own lists of authorized translation agencies. Translator's affidavit ought to be subscribed by a certifier, and a company seal should be also attached, if the certifier represents a company. Q. WHAT IS NOTARIZED TRANSLATION? A. Certified translation that contains a notary public verification of the certifier's signature. Such certification must be performed by a qualified licensed notary public and be signed with an official notary seal affixed. Q. SHOULD A TRANSLATION BE APOSTILLED? A. No. Apostilles validate public documents and have nothing to do with their translations. Q. IIN WHAT COUNTRY DOES A TRANSLATION NEED TO BE PRODUCED? A. A rule of a thumb is that a translation should be produced in an accepting country where a document is supposed to be submitted. If a foreign document is to be submitted in the United States, then its translation has to be certified/notarized in the U.S. in order to satisfy an accepting body on the territory of United States. A foreign notary public cannot be considered the U.S. authority, and a foreign notary certification is not valid on the territory of United States. The same goes with translations of domestic documents intended for foreign countries. Foreign country notary public should notarize such translation, or it won't be accepted in that country. Therefore, a translation ought to be produced and certified in the respected foreign country. There is one exception though, which represents an option of using services of foreign consular offices. Q. CAN A TRANSLATION BE VERIFIED IN A FOREIGN CONSULATE? A. Yes, it can. Actually, this is the only appropriate way to produce a translation domestically. Consul of a foreign country has powers of a notary public of that country. They can verify a translation certifier's signature in a foreign consulate. The drawback of such an alternative is its high cost and long processing time, as well as the necessity for a certifier to appear in person in a consular office and to present there sufficient proofs of translator qualifications as is consistent with specific requirements of a respected foreign country, or to require services of a reputable and familiar place to respected consular offices translation agency, which may significantly raise costs. Q. IF I NEED TO SUBMIT THE U.S. 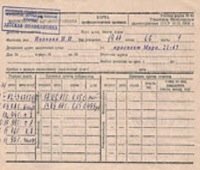 BIRTH CERTIFICATE IN UKRAINE, WHERE SHOULD I MAKE ITS TRANSLATION? A. Either in the U.S. or in Ukraine. If you do it in the United States, then it ought to be notarized at the Ukrainian consulate in the U.S. Otherwise, a translation can be produced, certified and notarized In Ukraine. In Ukraine presumably, it is going to be cheaper and quicker. Q. WHAT SHOULD BE SUBMITTED TO A CONSULATE? A. In order to verify a translation in a foreign consulate, the original document (it can be a notarized copy of the source document) with an apostille already affixed together with certified translation of that document into the target language should be submitted to the respected consular office for processing. Q. WHAT IS DIFFERENT IN CASE OF CONSULAR LEGALIZATION? A. If you submit a document for consular legalization and attach its translation, then they can perform two acts in a consular office - consular legalization of a document and consular verification of its translation. Q. SHOULD A TRANSLATION BE ATTACHED TO A DOCUMENT TO RECEIVE AN APOSTILLE? A. No. Once again, an apostille as a form of international certification of a public document has nothing to do with translation issues. Q. DOES AN APOSTILLE VERIFY A TRANSLATION? Q. SHALL AN APOSTILLE BE TRANSLATED? A. No. Respected Hague Convention on apostilles introduces a standard form of a unified international certification of a public document, so called apostille. It is supposed to be printed on an official language of a country where a document is issued. Members of the Convention are obliged to recognize an apostille from another country participating in the Convention without any reservation. Member is deemed to be the government (its officials) of a country that ratified the Convention. Therefore, a refusal to accept an apostille on the grounds of absence of its translation into the language of an accepting country is inconsistent with provisions and the meaning of the Hague Convention. Q. SHOULD CERTIFICATIONS BE TRANSLATED? A. Yes, they should. The fact of a matter is that pursuant to the Hague Convention an apostille certifies a foreign public document. What makes a document public for foreign use? The signature of a public official that can be recognized by a body authorized to issue apostilles. Government/court body that is capable and authorized to recognize the signature of a public official signed/certified the document. In some cases, the signature of a public official that originally signed/certified the document can be authenticated by an apostille directly. In other cases, intermediate certifications might be necessary. For example, in New Jersey they register notary publics in the Secretary of State office, which is authorized to issue apostilles. In New York they record notary publics in County Clerk offices, while County Clerks are registered with the Secretary of State office. The Secretary of State is not capable to authenticate signatures of notary publics directly, and a multi-step authentication is required. For international purposes a foreign public document is what an apostille (or a consular legalization) makes valid in a country other than where the document was produced. For accepting organization, a valid foreign document is what an apostille is affixed to and what it validates. That means all certifications are considered to be a part of a document. Therefore, a document must be translated altogether, certifications included.